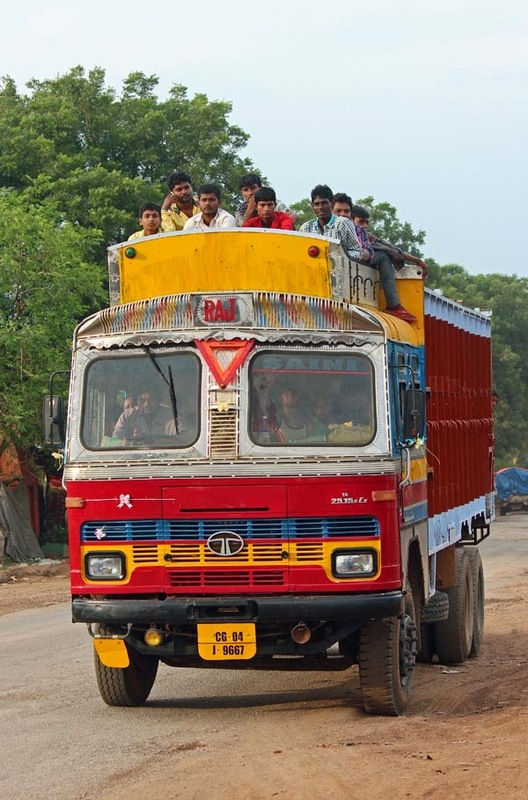 Here are a group of people riding atop a truck, quite a common sight in India. 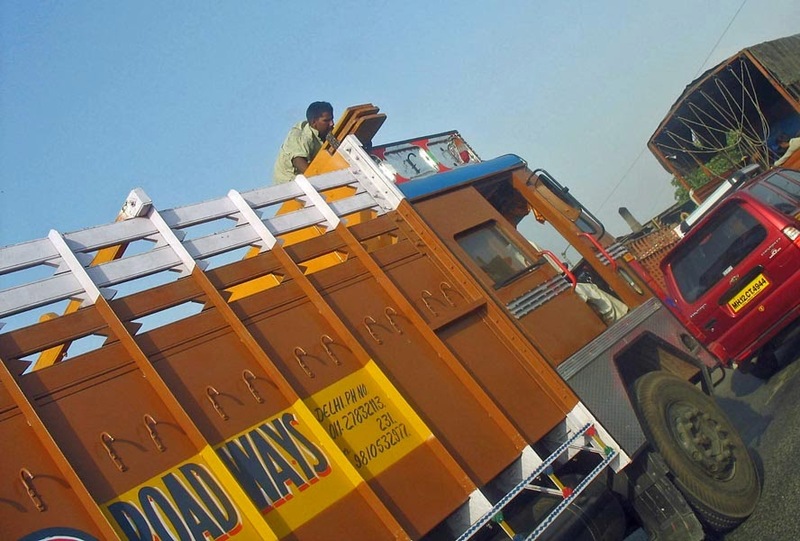 Another man riding on top of a truck, perhaps to hold the planks of wood. Or check all the pictures filed under the label Transport. Interesting and colourful people from India!